Or would this high capacity heater be too much of a good thing? Masonry heaters store the heat from a quick fire and distribute it slowly long after the fire has gone out. The question is whether they're a good match for a superinsulated house. In New York City, it’s been considered a real coup to land an apartment with a fireplace. Now, according to The New York Times, those once lucky urban dwellers are having second thoughts. New concerns about the environmental and health hazards of wood smoke, an article this week said, are outweighing the charm of those cheery winter fires. High-efficiency wood stoves do a much better job of providing heat, with less pollution, than an old-fashioned fireplace. Yet there’s been a sharp drop in interest even for wood stoves. Citing industry sources, the newspaper reported the number of wood-burning appliances sold in the U.S. fell from 800,000 in 1999 to 235,000 in 2009. These facts seem a little odd at a time when energy costs continue to rise, and in truth concerns about wood burning may not translate to rural areas where local sources of hardwood are abundant. Wood heat remains an attractive alternative to grid electricity and fossil fuels. John Hess likes the idea. 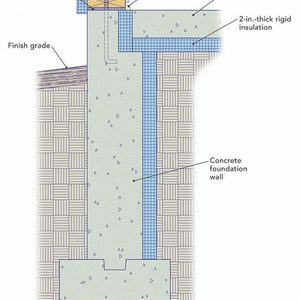 As he notes in a Q&A post at GreenBuildingAdvisor, a masonry heater looks like a good option for a superinsulated house he’s planning to build. Masonry heaters stove heat for up to 12 hours in a large mass of masonry; they produce very little ash and low emissions. 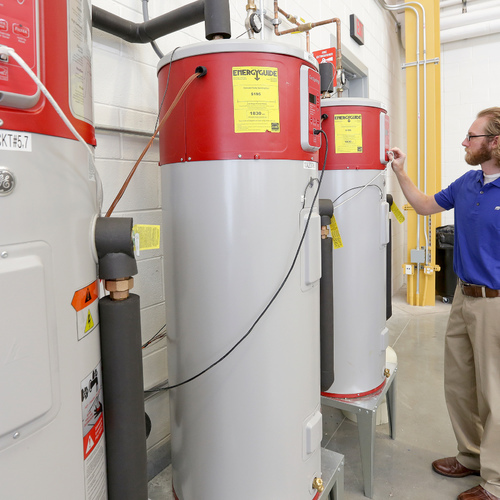 In particular, Hess wonders whether anyone can offer advice on plans he found at the Masonry Heater Association Web site for a heater he could build himself. “It’s the only way to go if you want wood heat in a conventional well built green home,” writes Tibor Breuer. Breuer has had masonry heaters in the last two houses he’s built. But now that he’s starting to build a double-wall house, a conventional masonry heater looks like way too much heater. Instead, he’s looking for a much smaller design that would be more appropriate to a superinsulated house. Breuer bought a Temp-Cast heater with an oven, which his mason assembled and faced with brick. The total cost was $11,000. There were 33 cast refractory pieces that took the mason just three hours to put together with easy-to-follow plans. He’d recommend one, but not necessarily in a double-wall house. They might be a piece of cake for a mason, but Daniel Ernst doesn’t think building a masonry heaters from scratch makes a good do-it-yourself project. Masony heaters, Ernst says, are designed to be fired once or twice a day with a quick fire that soaks into their high-mass walls. They provide their maximum heat output for several hours after a fire has been lit, then taper off over the next 24 to 36 hours. Assuming the heater is 80% efficient, and using well-seasoned firewood, Ernst estimates output at 220,000 Btu for each 40-lb. load of wood, or a little more than 9,000 Btu per hour. 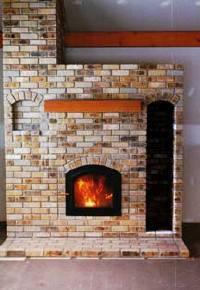 A masonry heater may also be the wrong choice on the basis of cost vs. value. “Why would you work hard to get your heating requirements down to a low level, then install a very expensive heating system?” Ernst asks. Jamie Malcolm-Brown, whose brother builds masonry heaters with Maine Wood Heat, is thinking along the same lines. What about a wood stove? Malcolm-Brown, along with several others, suggests a small, efficient wood stove with an outside air source as a less expensive alternative with a greater degree of control, particularly for the kind of house Hess is planning on building. Robert Riversong suggests looking at one of the soapstone heaters and ovens made by the Vermont Stove Company. One of them is called the Vermont Bun Baker, which incorporates 350 lb. of cast iron and as much as 1100 lb. of soapstone. “I would suggest a small, efficient, sealed combustion wood stove, perhaps with a masonry surround — or, if you want to cook in it as well, something like the Vermont Bun Baker (which is available with or without the soapstone surround),” he says. 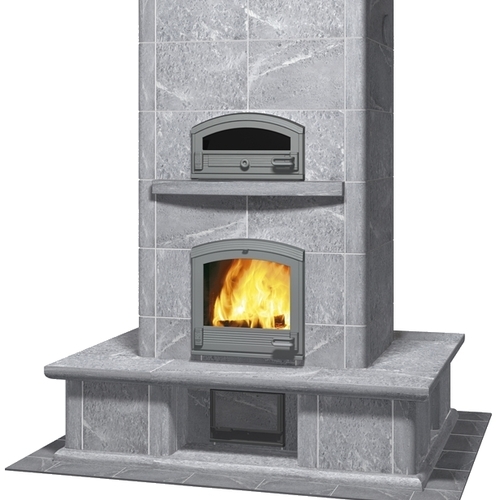 Another possibility, suggested by Lucas Durand is a soapstone wood stove made by Hearthstone. Determining how much heat can be extracted from firewood isn’t as simple as it is for oil, natural gas or electricity. There are more variables. Still, a good place for Hess to start would be with a heat-loss calculation for his house, as Ernst and Riversong suggested. 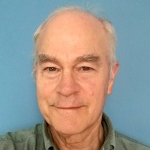 “If you haven’t completed a heat-loss calculation on your structure, you ought to do that before determining your heater type / size,” Ernst writes. Hess could do that himself, with enough study and preparation, or he could hire someone to do it for him. That, he says, can get complicated. “So let’s look at it from a different angle: There are 3,413 Btu / kWh, and 220,000 Btu = 64.5 kWh. Do you think that you would use 64.5 kWh per day, even if you used baseboard (electrical resistance) heaters? Could a wood stove be used with a water coil to distribute heat through a concrete slab? My thought was to use this idea on a 3" slab poured over floor joists. What I like about the idea is the potential to use it in concert with the slab functioning primarily as a passive solar slab. The diurnal storage capacity of the slab wouldn't be affected the same way as when using typical radiant floor heat and should allow the wood stove to 'replace' the sun when it's cloudy. Additionally if the wood stove were located on the floor below the slab would you still need a pump or would thermosiphoning work? The problem with a thermosyphon system is that it is impossible to control. Let's say you fire up the wood stove and heat up your slab. Then you realize that it's too hot upstairs. You can't just close a valve to stop the water from circulating through your stove's firebox, because the water in the coil will explode. So the thermosyphoning will continue until the fire dies down, whether you want it or not. Here's my philosophy: If you want to have a wood stove, just install a wood stove. Why complicate things by introducing hydronic components? Simple wood stoves work well, and are easier to control. We and our clients have used Masonry Heaters as primary heating sources in our carefully air sealed, well insulated, properly ventilated homes for nearly 20 years and consider them to be the very well matched to our homes which are rated at around HERS 30. We are in a 8000 DD climate and typically build homes in the 1200 to 3500 sq. ft size range. Typical hourly output of a heater is around 20,000 BTU an hour for around 15 hours per 50# charge of cordwood, These heaters have the advantage over other woodfired parlor style stoves ( which can come close to masonry heater efficiency but tend to have higher emissions) in the somewhat self regulating nature of high mass radiant heating devices in that they release heat as the house calls for it without having to control the scale of the fire. Masonry Heaters are thermal flywheels which allow homeowners to build short high temperature fires at their convenience and then benefit from the heat over a 12 to 24 hour period. Are they worth the premium cost? our clients who live with them tell us that they think so but that's a question which has a lot of possible answers depending on your economic circumstances and aesthetics. The main reason I see to have a wood stove is for emergency back-up heat and for long range energy shortage/price-spike planning. My desire to have one or not isn't really a concern that I am considering. Would it be possible for a wood stove to provide enough heat to a slab to result in overheating? It takes 30.8 btu/cf to raise concrete by one degree. Consider a slab, 44'x12'x3" = 132 cf, it takes 4,065 btu to raise that slab by one degree. A Vermont Bun Baker stove puts out approx 30,000 btu/hr, of which only a percentage of those btu's would be available to heat water the rest being used to heat the metal and soapstone of the stove and the surrounding air. Even if 50% of available btu's were harnessed to heat water (unlikely) it would still take approx. 2 hours to raise the slab by 7 degrees. My line of questioning is more directed at would there be sufficient btu's available through a water coil to effect a worthwhile change on slab temperature. The goal I am striving for is a system that could distribute a wood stove's heat throughout the house even during a power outage. Every time I have been in a house during a power outage where there was a wood stove at most only 1/2 of the house was comfortable, 1/4 too hot, 1/4 too cold. I am merely looking for a way to balance the heat output of a wood stove between two floors that doesn't rely on power. I know that the overheating question was vague without climate and heat loss data. I live in a 4,000 HDD 4A zone. I have estimated using manual J for my potential home (2,400sf) to have heat loss of about 15,000 btu/hr. I have never visited a house with a thermosyphon system operating off a woodstove used to heat a slab, so I really don't know whether your proposed system will work. I do know this: I have lived in a wood-heated 4-bedroom house (3 bedrooms plus one home office) for 30 years without the comfort problems you describe. My house is heated by a single wood stove in the living room. I don't have grid-powered electricity, fans, or pumps to distribute wood stove heat. The stove just sits there and heats the house. This morning the thermometer read -28°F. Now, a little past noon, the thermometer is up to -9°F. I'm working in my bare feet. Fair enough, we can only speak to our personal experiences and education. Is your stove placed near a stairwell or other method encouraging better heat flow to the farther reaches of the house? One example I was thinking of from my personal experiences was in a two story home where the stove was located on the first floor at one end of the house. It was not a super-insulated home but moderately well built and air sealed. I understand that placing the stove nearer the center would help in balancing the heat output, but what about when you can't due to house layout? You're right: some house designs aren't ideal for wood heat. Long, narrow single-story homes with many ells and bump-outs are the worst. Traditional New England two-story home designs work well -- Cape Cod homes, colonials, and saltboxes -- for obvious reasons: these designs were developed during an era when everyone heated with wood. In the old days, carpenters and home builders all knew the basic rules -- the chimney belongs in the center of the house, compact 2-story designs are the easiest to heat -- but many of these simple principles have been forgotten. Dylan, something else to consider about taking BTUs out of your firebox with a coil is the effect on combustion efficiency. A non-catalytic EPA certified stove requires high temperatures for secondary burning of the exhaust. If you remove too much heat from the firebox by hooking it up to what is in effect a giant radiator, your stove may not perform as rated. Creosote build-up and chimney fires are other concerns with inefficient combustion. Well it was just a thought, thanks for the input to my idea. Good point about potentially decreasing the burn efficiency Lucas, I hadn't considered that. A masonry heater is a radiant system. It heats the mass of the home,not the air.So if you have an insulated slab for a floor, the slab will be about the same temperature as the rest of the house.The rooms furthest from the heater may be a couple of degrees cooler but that's it.To me.as a builder,all my homes are site specific.Where does the sun rise,and where does it set? that is primary(passive solar). Next the heating source needs to be centrally located.In a super insulated home you need neither radiant floors or a masonry heater.A small heater(wood fired or even an oil filled roll around electric radiator would be enough to heat 1500 square feet.Why spend big bucks for heat you don't need?In most places wood heat cannot be primary heat source so I install cheap pocket heaters in the walls to pass code and they never get used unless grandma wants her bedroom at 75 when she visits. You wrote, "A masonry heater is a radiant system. It heats the mass of the home, not the air." - By convection (since the warm bricks heat the air near the heater; the warm air rises, and cooler air near the floor is pulled in the vicinity of the warm bricks, to be warmed in turn). - By conduction (since the warm bricks raise your body temperature when you lean against the chimney, or when you sit on a raised hearth, or when grandma takes a nap on an old-fashioned bench built into the heater). - By radiation (since the warm bricks can heat your skin, or the furniture, whenever the temperature of the bricks is warmer than objects that are within sight of the masonry heater). Of course you are right.I was just comparing it to the worst of heating systems--forced air.For me ,having a live fire ,a daily ritual of loading and burning my masonry heater connects me with my surroundings and I'm free of power outages.One of my clients, 18 years ago,wanted one in his house and I've been sold ever since.All my clients that now have them are very happy with their investments.The only drawback is that they are not automatic and thank goodness for that!! If you spread that out over a New England heating season---say 180 days---you get 23,885 Btu / day or 7 kWh / day. Note that this is an average, and does not reflect monthly fluctuations . . . but it should provide some perspective. So, if we use a moderate woodstove combustion efficiency of 4,500 Btu / lb. of wood, you would need to stoke the woodstove with just over 5 lb. / day to keep the house at 68 F (again, on average over a 180 day period). No wonder nobody is using a woodstove in a PH . . .
BTW - Any PH consultants want to double-check my numbers? I wondered if you might be so kind as to offer your opinion on a matter related to the topic at hand. My wife and I are in the planning stage of building a 1350 sq. ft superinsulated, off-grid home. The home will be 1.5 stories with a cathedral ceiling over the kitchen and great room. I will be building the home myself, and have thus spent the last year reading numerous publications on green building. 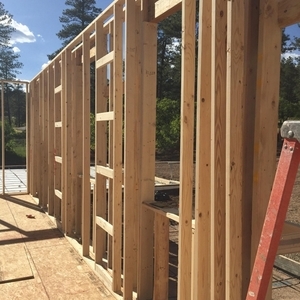 My plan is to frame the house with 2X6 walls, laid out on 24" centers using "advanced framing techniques." The roof will be framed with 14" deep TJI joist, also on 24" centers. I will then cover the entire exterior of the house with 4 inches of staggered and taped foam. The wall cavities will be filled with blown in cellouse, and the rafter cavities with closed cell expanding foam. Finally, I plan to use top end windows and doors from one of the national suppliers. Since the house will be off-grid, my plan is to heat the home with a centrally located super-effecient wood stove. To aid the movement of heat throughout the house I will install operational transit windows over all interior doors. Now to my main concern, because the home will be off the grid, any kind of mechanical air handler/exchanger is pretty much out of the question. I don't think this will be a problem in the warmer months, as we will have the windows open for ventilation and cooling. However, I do have some concerns about the winter months. Primarily, I'm concerned about indoor air quality and potential moisture/mold problems. At this moment, my plan for dealing with these potential problems is as follows. First, I will select materials and finishes for the home's interior that have low VOC loads. Secondly, I plan to incorporate some method of "opening the house up" during winter months into our daily routine. Most likely this "opening up" would be accomplished by simply opening a few windows on each floor and allowing the house to vent for a few minutes each day. While this last idea might sound ridiculous, it's widely practiced throughout Europe as a method of dealing with excess moisture in homes with radiant heat. Being that you live in a superinsulated, off-grid, home, I wondered if you had any comments or suggestions regarding the aforementioned issues. 1. Unfortunately, I don't live in a superinsulated home, just an old hippie house. As the saying goes, "the cobbler's children are always ill-shod." 2. My house has no mechanical ventilation system. I depend on natural air leakage -- I'm pretty sure there is plenty -- along with common sense (that is, opening a window when a room smells stuffy). 3. If you ever get a PV system, you might consider installing an exhaust-only ventilation system -- in other words, a continuously operating Panasonic WhisperGreen bath exhaust fan. The 50-cfm model -- that's plenty for your house -- draws as little as 4.3 watts. That's not much. 4. You might want to reconsider your plan to sandwich your roof sheathing between interior and exterior foam. If you have the exterior foam, then I would advise filling the rafter bays with dense-packed cellulose, not spray foam. Thank you for thoughtful and detailed reply. Your idea for an exhaust only ventilation system sounds like it could work. I will be charging the home's battery bank using a PV array and a small wind turbine, so 4.3 watts should not be an issue. I suppose locating the exhaust fan more or less in the center of the home would be ideal? You are not the only person to advice against sandwiching the roof sheathing between interior and exterior foam, and therefore your point is well taken. Intuitively, it would make sense to install the bath fan in a central location, but there probably hasn't been enough research to definitively answer the question. 1. Exhaust-only ventilation systems work better in small, compact houses than large, rambling houses. 2. Several studies of small homes with exhaust-only ventilation systems show good air quality in these homes. 3. Fresh air distribution in remote bedrooms is better with an HRV system with dedicated ductwork than with an exhaust-only system. 4. It makes sense to exhaust air from a stinky, humid room like a bathroom. i'm working on a small home of similar size, and going with an exhaust only approach has me wondering where the makeup air comes from. for me it will probably be sucked out from underneath the crawlspace. In a home with an exhaust-only ventilation system, makeup air comes from random cracks, including cracks around windows and doors. It's possible, of course, for an exhaust ventilation system to pull air from your crawl space. If you are worried about this possibility, it's a good idea to perform air sealing work on your floor. 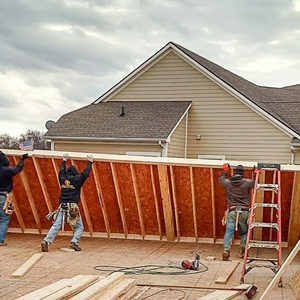 If you are planning to install rigid foam on top of your roof sheathing, 1 inch of foam may not provide a high enough R-value to keep your roof sheathing above the dew point. The minimum thickness of the required foam varies by climate; the colder your climate, the thicker your foam has to be to avoid problems. Most ceiling assemblies don't require a radiant barrier. 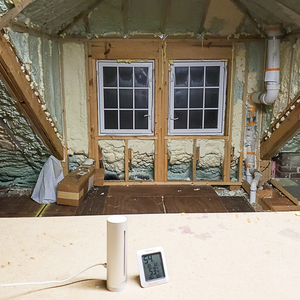 In general, you'll get better performance if you take the money you would have spent on a radiant barrier and spend the money on thicker insulation. I'm looking at a pile of bricks here in my living room as I type this.I'm designing and building my own masonry heater-a project I don't think anyone should attempt without considerable study and some experience.The theoretical and practical variables are much more involved than just heating a big pile of heavy stuff. But I believe masonry heat is appropriate for any structure if it is well designed.How much heat is introduced and for how long can be controlled by good design and practiced use.Look at the history of this heat in Europe and pay particular attention to how small some of these heaters are.Modern ones are as portable as wood stoves and modular in design.Also look at the use of masonry heat in greenhouses.The venting options are more acceptable,but the heaters themselves were actually used for seedbeds-a great example of the possibility of steady,controlled heat. If anything we should be developing the options for the clean and efficient use of all biofuels.A masonry heater has the huge advantage of aesthetics to add to the performance.Fire ,as described in "A Pattern Language" has a spirit that reaches deeply into the human psyche.Anyone who has made this connection for a season or more knows it as one of the joys of living in a northern climate. Mark Twain, traveling through Europe made comments on the stoves he dealt with there. Google these. Somedays he liked them,somedays he found they made the room to stuffy. In the midwest 70 years ago, farm houses had a stove on the first floor with grills in the four rooms above that let in the heat. Old timers tell me the always had the sniffles and headaches from these stoves (could it have been carbon monoxide). In Russia there was a shelf above the fireplace where the children slept. You suggested the small 50 cfm bath exhaust only fan in a very tightly sealed and super insulated home. Why not just put in an HRV? Is it about the cost of the unit or the cost of operating the unit? My thinking is a concern about lost BTU's from inside by running this fan continuously. Seems like such a waste of BTU's. You're right that an HRV wastes less energy during operation than an exhaust-only ventilation system. I was providing advice to Robert about how he could ventilate an off-grid home. I suggested an exhaust fan because it might use as little as 4.3 watts. Off-grid homes have either no electricity or very little electricity, especially in winter. Most off-grid homes don't generate enough electricity to run an HRV. Hi, I live in a house with a masonry heater, and I make a living by designing and building them for people. Without actual heat loss calculations for a specific house, it is hard to say how big of a masonry heater to design, but if you live in a climate that has a winter that isn't too short, it is still worth building a heater. Not all masonry heaters are enormous; many are quite small and more appropriate for smaller or better insulated houses. There are designs for masonry cookstoves taht can heat small or well insulated houses and cook and bake food. The other factor is that even if your house does not need the all the heat that a particular heater can put out, the masonry heater can still work well for the house. There are not too many times when the weather changes so quickly that I can not anticipate the adjustments that I should make to my firing schedule to keep the temperature stable in my house. Furthermore, because of the way heat exchange works, to a small extent, a heater will give off less heat per hour as the temperature in the house increases. All in all, the heat from a masonry heater is so gentle and even that with a little trial and error, the homeowner should be able to keep the house comfortable with a masonry heater even if it is super insulated. That said, it is always a good idea to size a heater appropriately for the heat load of the house in question. 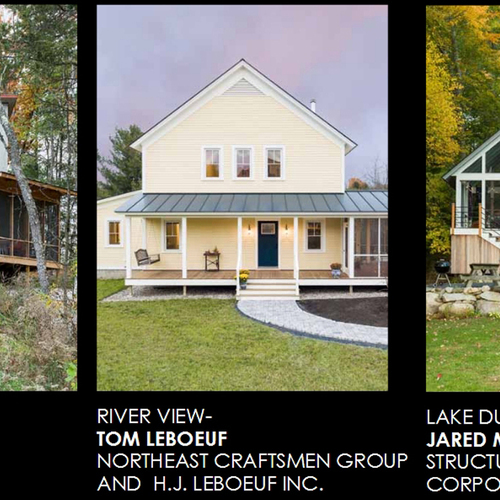 We had a look at one of these at Stove & Flag Works in Williston, VT. For our passive solar, highly insulated home we think this is far and away the best choice. The only drawback to the soapstone that I can see is that if you get it with the soapstone then the round metal plates that lift out to allow you to cook in pots on the stove get covered up. The nice folks at Vermont Wood Stove said they're willing to custom cut the soapstone so I think we'll be buying the unit without the soapstone and after evaluating how the basic unit itself works possibly getting the soapstone custom cut with the goal of creating a box around the stove with an air inlet at the bottom which can warm air passing through the box and channel it up into ducts placed interior to the building with an inline fan in them which will allow some of the heat from the stove to be distributed to more remote areas of the home rather than just having the great room area being convectively heated by the stove. Once the home is built and the Bun Baker in place later this year I'll try to remember to report back about how it performs. 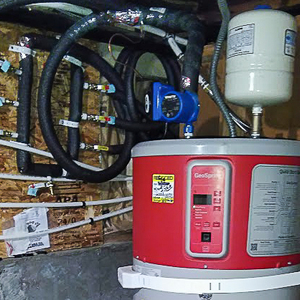 Martin, did you really mean to say,"If you ever get a PV system, you might consider installing an exhaust-only ventilation system -- in other words, a continuously operating Panasonic WhisperGreen bath exhaust fan. The 50-cfm model -- that's plenty for your house -- draws as little as 4.3 watts. That's not much."? This could be a wasteful and mind blowing amount of air exchanged. Also, for an off the grid home, wouldn't the small manual intake baffles be a good "no energy" solution? I live in an off-grid house, and I have no mechanical ventilation system. I don't have the extra electricity required to run a WhisperGreen fan. However, 50 cfm continuous is not a "mind-blowing amount of air." It's typical for homes trying to comply with the ASHRAE 62.2 ventilation standard. Depending on the size of your house and the number of occupants, typical ASHRAE 62.2 air flows range from about 40 cfm to 80 cfm. It would be irresponsible for me to advocate that anyone build a very tight house without considering mechanical ventilation. Every family is different; many people have sensitivities or medical conditions that require very good IAQ. The ASHRAE 62.2 standard is the appropriate way to go. If you live off-grid, that means you need to consider all your options -- which may include coming up with a way to generate enough electricity to keep your ventilation system working. Over the past two weeks I’ve written about wood stoves and pellet heating. This week I’ll focus on another way to burn wood cleanly and efficiently: using a masonry heater.